Encouraging stewardship is one of our core values. We are all about giving students a chance to use their knowledge to make a difference in the environment. 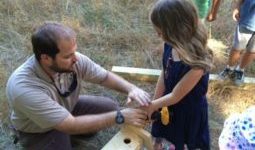 Students from Coastal Montessori Charter School on Pawley’s Island built bluebird boxes during their week- long summer camp. They spent all week bird watching, taking notes in bird journals, painting, and building the boxes. They learned how important nest boxes are to the bluebird population. 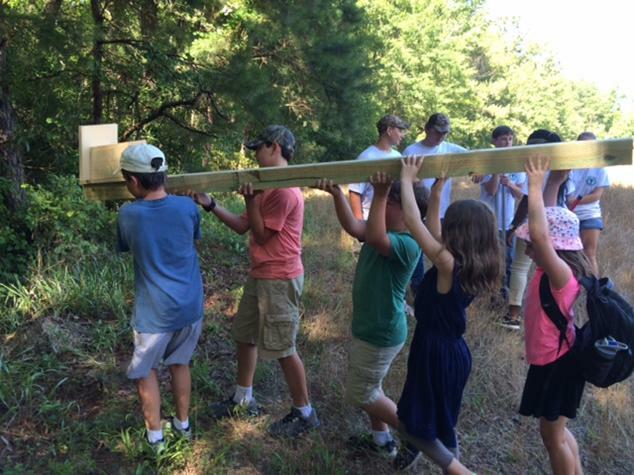 Then, students joined us on Waccamaw National Wildlife Refuge to install their boxes. Youth Conservation Corps students and Park Ranger Jason Hunnicutt helped with the installation. The eastern bluebird population declined drastically in the early 1900s primarily because aggressive introduced species, like the European starling and house sparrow, made available nest holes increasingly difficult for bluebirds to hold on to. Beginning in the 1960s and 1970s widespread placement of nest boxes alleviated much of this competition, especially after people began using nest boxes designed to keep out the larger European starling. The Eastern bluebird population has been increasing at about two percent a year ever since.